A father from Queensland’s Sunshine Coast who fatally threw his toddler against a wall because he would not go to sleep has been sentenced to 12-and-a-half years in prison. 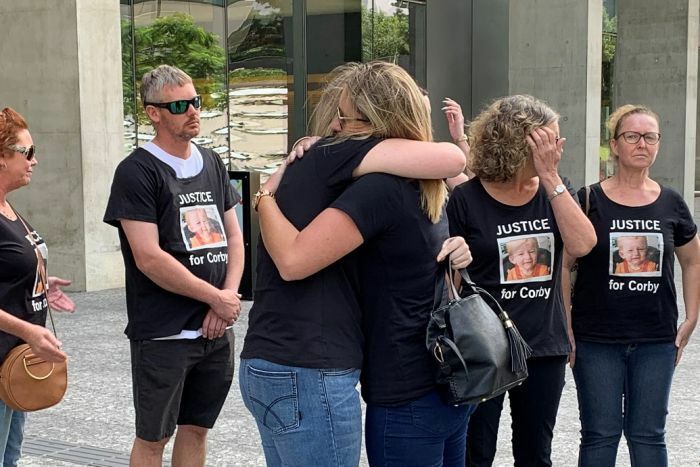 “Your responsibility as Corby’s father was to care for him, to nurture him, to keep him safe from harm and to love him,” Justice Burns said. “Instead, and without any compunction, you subjected him to a persistent course of deliberate cruelty including multiple acts of violence. “It is a horrifying aspect of this case … that the older fractures of the ribs you caused had the effect of remodelling his chest cavity. Outside court, Corby’s aunt Tanya Jeffrey said she was disappointed with the sentence. “He’s going to get out and get a second chance at life. Corby hasn’t got that chance,” she said. “It should have been life, the book should have been thrown at him. 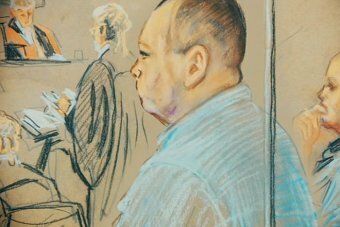 Justice Burns said Akehurst was under considerable financial pressure and suffered stress from being a fly-in, fly-out (FIFO) worker, and was absent from the family home for extended periods of time. He said he had taken into account the fact that Akehurst’s disease would make jail “more burdensome”.